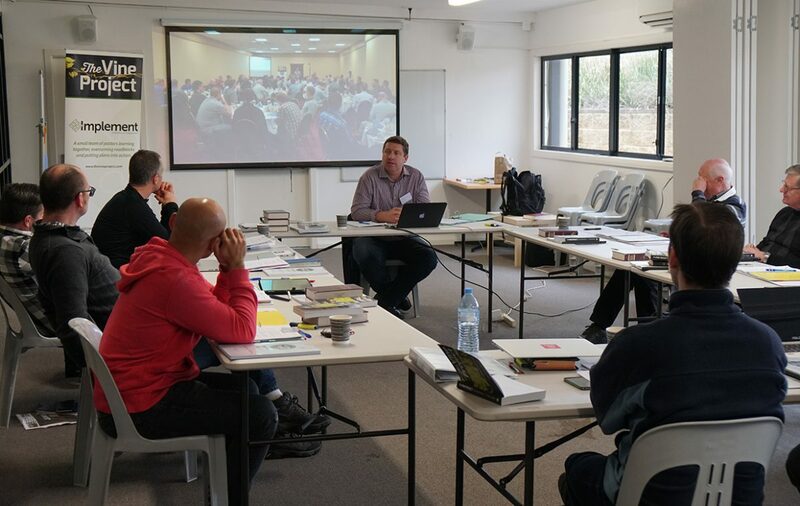 A group of pastors met in Sydney on 5 and 6 June for Implement, a group coaching process for Vine Project leaders. It’s hard to pick one thing I have learned out of today’s session. In fact, I’ve got a list of things that I want to go away with and I think that is the blessing of doing this Implement course. For me, we’ve got this common goal of working out The Vine Project in our churches and actually talking with a group of ministers, hearing their ideas, putting my ideas forward, being refined by each other, I think that is the real benefit of doing this together.